Each time we develope a boardgame with one of our customers, we know we are tapping into something real: the traditional Nordic passion for boardgames. It is a passion that goes way back to the Viking Age. When we developed this boardgame project with Drauma Eyjan we were actually feeling proud. Not just because we knew we were doing a great job at manufacturing a high standard quality boardgame, and offering our client tailormade solutions in the process. But more so because both the game developer and us felt like we were creating something that matters to people. We understood that we were going to tap into something real and powerful: the traditional Nordic passion for boardgames. If you have ever visited countries like Norway or Iceland, you might have noticed how passionate people can get over a great boardgame. Actually, that passion has a history. It goes all the way back to the Viking Age! Here’s a few interesting facts. While muscle power andphysical skills obviously appeared to be important qualities in that period of Nordic history, there was also a place for intellectual prowess. Board games were very popular, which is proven by the many boards and pieces of the Viking era that have been found by archaeologists. These were mostly found in boat graves, as game boards were carved into chests which were brought on board ships, suggesting that Vikings at sea sometimes killed time with such games. 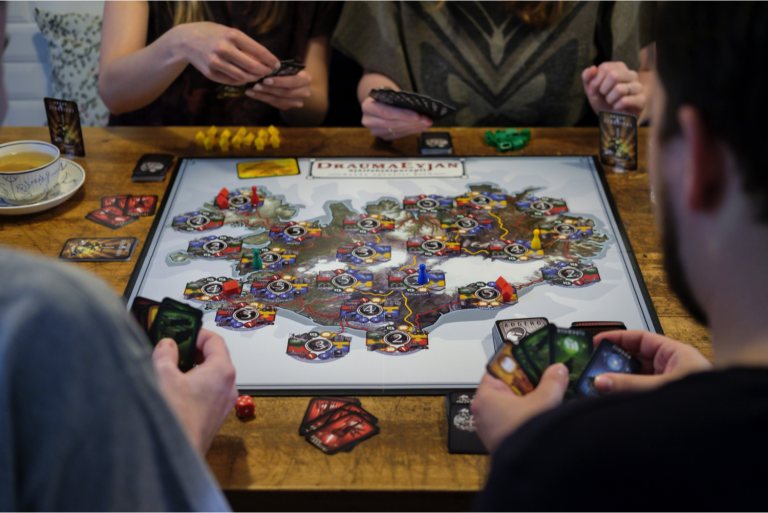 Board games also play a prominent part in sagas and Old Norse poetry. People who play board games are often described as nobles, and some historians argue that being skillful in board games was a prerequisite for high-ranking Vikings. These types of games demonstrated thinking capacity. 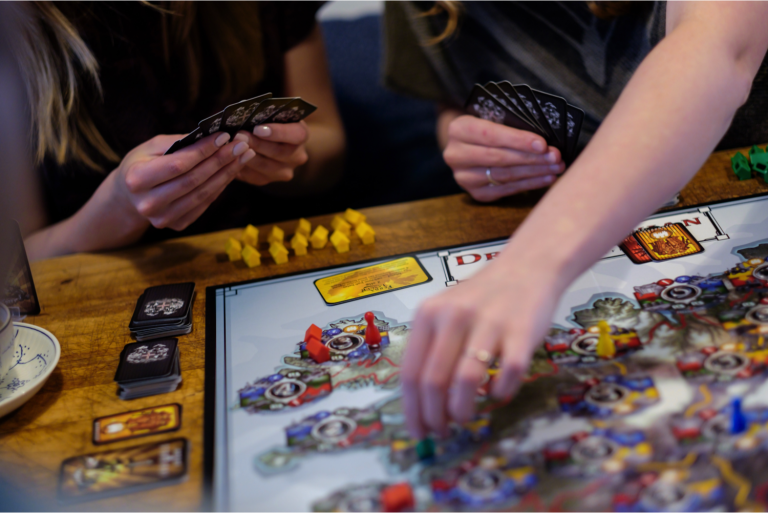 Boardgamers were considered intelligent people, capable of solving strategic problems. Needless to say that Cartamundi Nordic is a proud ambassador of this Nordic boardgaming tradition. We are a one-stop-shop when it comes to manufacturing solutions, and that is what we brought to the table when first teaming up with Drauma Eyjan. Elsewhere on this website you can watch video’s of how our experts manufacture beautiful products. But the real core of our business is… love for the game. Apart from our expertise, that is the main reason why companies like Drauma Eyjan like to work with us. Have you developped a board game and are you looking for a partner to produce? Get in touch!